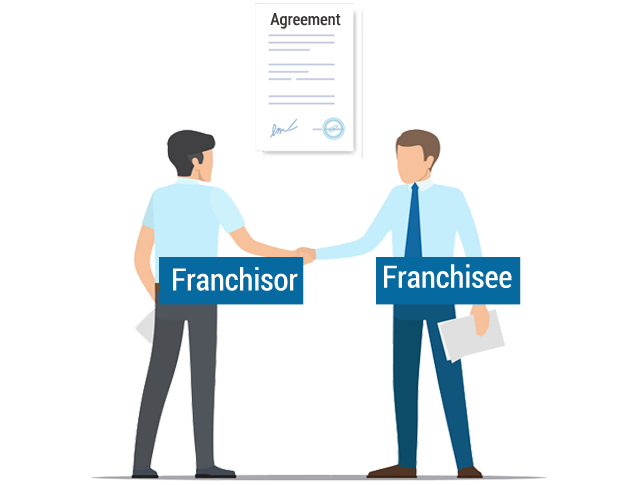 A Franchise Agreement is a legal, binding contract between a franchisor and franchisee. The franchise agreements are enforced at the State level. It also outlines the obligations of the franchisor and franchisee. The franchise agreement is signed at the time an individual makes the decision to enter the franchise system. What are the basis element of franchise agreement? The Franchise Agreement needs to deal with some basic elements including. 3. Initial and Continuing Fees. 4. Use of the Intellectual Property including Trademarks, Patents, Manuals. 5. Advertising. 7. Record-Keeping and the Rights to Audit the Franchisee’s Records. What are the types of franchise agreement? 3. Area Development Franchise Agreement. What is the tenure of Franchise agreement? The tenure of franchise agreement should not exceed five years and it may renew after every five years. Information of the franchisor and franchisee. PAN Cards of Franchisor and franchisee. Legal Entity of the agreement. Printed on respective stamp paper. Signed by both the franchisor and franchisee.